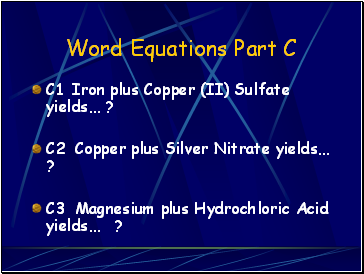 A1: Magnesium plus oxygen yields ? 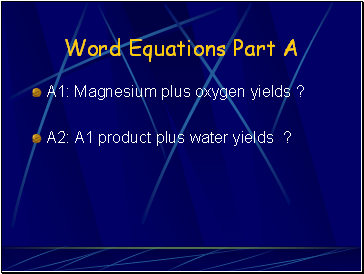 A2: A1 product plus water yields ? 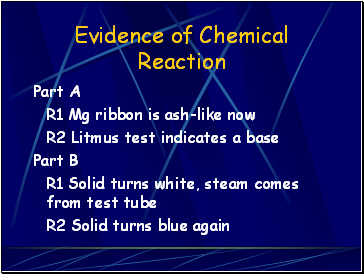 B1: Copper (II) Sulfate Pentahydrate is heated to yield ? 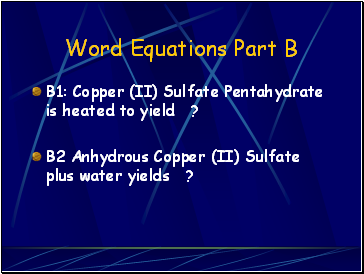 B2 Anhydrous Copper (II) Sulfate plus water yields ? 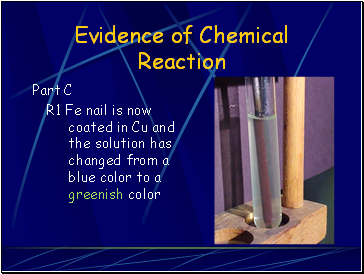 C1 Iron plus Copper (II) Sulfate yields… ? 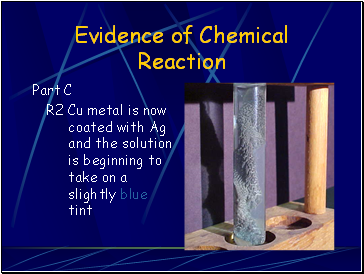 C2 Copper plus Silver Nitrate yields… ? 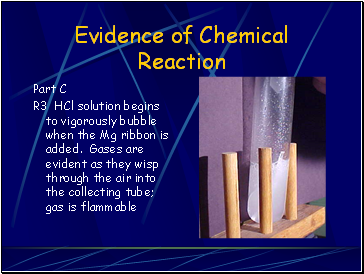 C3 Magnesium plus Hydrochloric Acid yields… ? 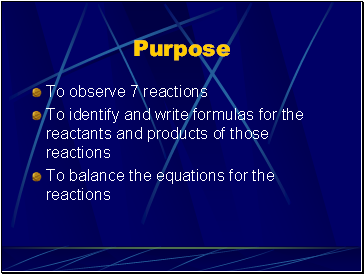 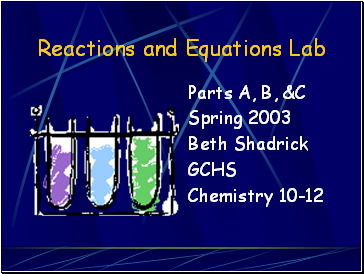 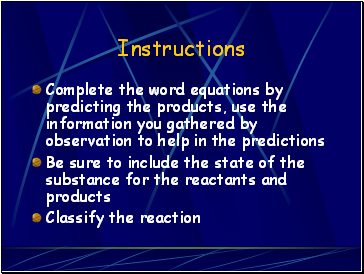 Then you may go finish Part D of the lab instructions. 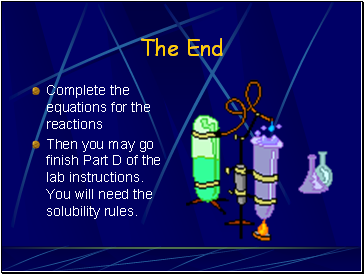 You will need the solubility rules.